The Semantic Web Summer School, SSSW, was founded in 2003 by Enrico Motta and Asun Gomez-Perez as the “Summer School on Ontology Engineering and the Semantic Web”. From 2003 to 2013, it was located in Cercedilla, near Madrid in Spain, being hosted by UPM and co-directed by members of UPM and of The Open University in the UK. From the very beginning the school pioneered an innovative pedagogical approach, combining the practical with the theoretical,and adding teamwork and a competitive element to the mix. Specifically, tutorial/lecture material were augmented with hands-on practical workshops and we ensured that the sessions complemented each other by linking them to group projects. 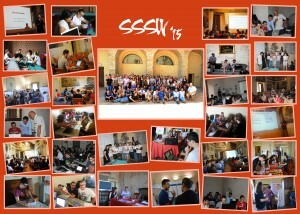 In 2013, SSSW celebrated its 10th edition and its 10 year anniversary, demonstrating through the quality of the content, the great environment and the amazing engagement of the some of the brightest young researchers in the area as students, that it remains the premier educational even in our research community. The school is now located in the beautiful location of Bertinoro, a small village near Bologna in Italy, and relies on an extended organising committee, with Valentina Presutti from CNR, Mathieu d’Aquin from the Open University and Oscar Corcho from UPM. More importantly, as the technologies evolved and the Semantic Web is getting mature, the focus of the school has evolved towards research and the open challenges that are being faced by the scientific community related to the Semantic Web. Keeping the “mixed” approach pioneered in the previous editions of SSSW, invited speeches and lectures by some of the greatest researchers in the area are now complemented with “Research in Practice” sessions where key research questions are being investigated and collectively discussed.